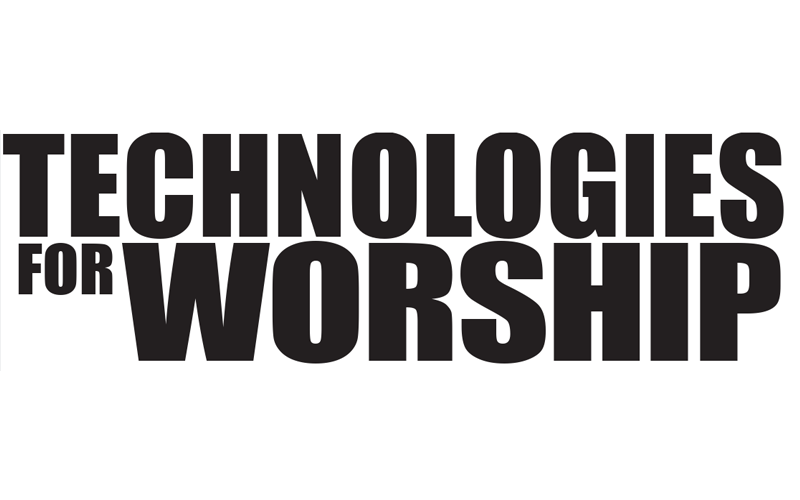 Undeniably, technology has changed the way houses of worship spread their message. It used to be that the primary means of reaching worshippers was through an on-site service once a week or so, and outreach was limited to the people who physically came to the building and listened to the sermon. 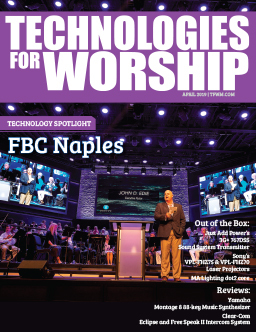 As technology has evolved, however, it has become possible for houses of worship to reach even greater numbers of people more easily than ever before. In Touch Ministries, the teaching ministry of Dr. Charles Stanley, senior pastor of the First Baptist Church of Atlanta, reaches people through worldwide broadcasts. 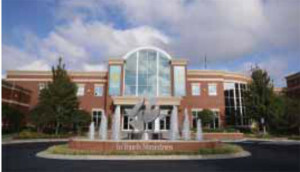 Starting in 1972 with a half-hour program which ran on two Atlanta-area television stations, “In Touch with Dr. Charles Stanley” can now be seen and heard around the world on more than 2,600 radio and television outlets in more than 50 languages, and also via podcasts, In Touch smartphone apps, the Web, and a solar-powered, handheld audio device known as the In Touch Ministries Messenger. Part of this expansion is thanks to digital, ﬁle-based media. 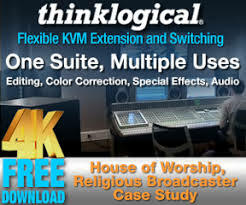 The broadcast industry has been moving away from tape for the past decade, and our ministry decided to follow suit. After transitioning to digital cameras, we migrated away from our previous media asset management (MAM) system and began using Primestream’s FORK. In the several months that we’ve been using it, FORK has become the backbone of our ﬁle-based operation. Our Television Ministry functions more like a post house than a broadcast operation, and we work on one primary program — “In Touch with Dr. Charles Stanley”. To create the show, we start by recording two recitations of a sermon every Sunday. With the program feed plus nine different ISO cameras, we end up with 20 different recordings of the same sermon. The high-resolution recordings are loaded into FORK, and FORK makes low-resolution proxies and tags metadata. From there, producers can access the proxies from their own workstations to make notes and rough cuts using the FORK Proxy Editor, and then our editors take those notes and create a project in Apple Final Cut for postproduction. (One of the great things about FORK is that it works with just about any nonlinear editor, so if we decide to change systems, we know FORK will be compatible.) During the prior week, we will have created pickup segments — such as ads for in-house CDs or DVDs, promotions for upcoming programs, or commercials for our ministry partners — which have also been loaded into FORK to await integration with the Sunday sermons. Once the Sunday sermon production is complete, that show gets segmented into 30-minute and one-hour pieces, which get packaged along with the commercials or promos, published back into FORK, dubbed onto tapes as needed, and sent to the various TV and radio stations or distributed in other ways. FORK does more than our previous system ever could — with plenty of room to grow. Customizable scripting on the backend means we’ve been able to create workﬂows that reduce our need for manual processes. Another factor that sold us was the relationship we developed with Primestream during the sales process, which played a key role in our decision to buy – we knew they would be a longterm partner. We use multiple ﬁle formats and codecs because of our different cameras, but Primestream didn’t bat an eye; they just made it work. We also have a lot of old closed caption ﬁles that are linked with our video. Our hope was that we would be able to perform word searches of the content, but we hadn’t seen any systems that could do it. Before there was even a contract with them, Primestream took the initiative to develop just such a workﬂow. That dedication went a long way. FORK has streamlined and automated many of our processes. For example, when a project is created on an editor’s desktop, FORK will automatically notify the producer if he or she needs to create a clip from that project for the Web or social media. The producer can create the clip on his or her desktop and then send it to FORK, which will manage the transcoding process and ensure the ﬁle gets uploaded. FORK also increases accountability and aids in communication. An editor can place a project back into FORK, but FORK won’t let it progress to the next step without the proper information and sign-off. During setup, we simply indicated the information we require at each stage, and FORK makes it so. If a piece is not where it’s expected to be at a given time, then we know to go back to the last person in the chain or to the producer for sign-off. The fact that we can record and manipulate content digitally rather than on tape makes it much quicker, easier, and more cost-effective to prepare our programming. We’ve reduced tape costs substantially because we no longer have to make dubs during the post process, and we’re sending out fewer tapes every month. Once the ﬁle is approved, it can be automatically transcoded with our in-house Telestream Vantage system and then distributed, with everything ﬂowing through FORK. We were also starting to lose tapes to degradation, which played a factor in our decision to go digital. We knew we needed to convert those tapes to digital ﬁles, and once we did that, we would need a MAM system to manage the 10,000-15,000 hours (35 years!) worth of taped footage. Because FORK can ingest content quickly, we were able to log about 350,000 assets into the system in the ﬁrst six months. At this point, we’re about halfway through our archive. With a week’s worth of training, the team could ﬁnd and distribute content quickly. The more we use it, the more we discover, and the more we’re able to reﬁne our processes. We’ve already been able to expand the system to do things we didn’t know were possible at ﬁrst, and we’re still just scratching the surface. FORK is the heartbeat of everything we do. Every asset we have ﬂows through that system. It streamlines our workﬂows, gives us checks and balances we didn’t have before, and ultimately improves quality.